Negative Energies within and around you. Imbalance of male and female energy within us. Imbalance of male and female energy in our surroundings like home and office. Negative thoughts, behavior and nature like doubting someone unnecessarily etc. Negative habits like anger, ego, secretiveness, shyness, jealousy, greed, lust etc. Over – confidence of always being right. Over – expectation from others. No time to spend on yourself and with. your loved ones. In this world, every person wants to have a successful, progressive, peaceful and happy life. Good relationship is the key to all of them. Good relationships bring happiness in everybody’s life whereas a bad one brings sadness, stress, problems, depression and in turn diseases. Every person wishes to have good and sweet relationship with everybody around him in society. But because of one or other reason this is not possible for most of the people. Ego, anger, jealousy, shyness, financial reasons, etc are other few reasons because of which a person spoils his relationship with others. Relations are bridged by emotions. Emotions are one of the key characteristics of a person and a defining parameter of personality of a person. Emotions in a person are always dynamic and intensity of emotions differs in each person and changes every time a person interacts with other persons. For Example there is a group of 5 people related to each other; Amy, Bob, Chetan, Dev & Eva. Amy loves Bob, cares for Chetan and hates Dev & is neutral to Eva. But Chetan is neutral to Amy and almost ignores Eva. Similarly others in the same group have different levels of understanding and feelings towards each other. Thus everyone shares different relationships with each other. The energies within and around oneself: The energies within and around oneself affects relationships. The negative aura of a person, negative energies at home and work place brings lot of negativity in one’s thoughts and behavior. Thus negative thoughts and behavior spoils person’s relationships with others. On the other hand, if a person has positive energies within and around him, then he automatically develops positive thoughts and behavior, which in turn makes his relationships with others positive. Male and female energies within and around us: Our body as well as every place has its own male and female energy. The balanced male and female energy brings success, harmony, good health and peace, but its imbalances impacts negatively. It causes fight, stress, loneliness, impatience, anger, failure and diseases. Elements compatibility: The non-compatibility of the elements between couples or any two persons brings about clashes of thoughts, nature and behavior. For example: If the main element of one of them is air and the other one is fire, then they usually have an unstoppable fight. The way air makes fire more aggressive; the couples with opposite elements also have compatibility issues, which cause relationship problems. Like some people even say that why do you speak in such a way which fires my body, and they end up fighting even when none of them actually intended to fight. All these things happen because of element incompatibility issues. Past life Karmas: Past life karmas play a vital role in all aspects of our lives. The compatibility issues, nature and behavioral issues etc are all outcomes of the past life. One gets what and in whichever form, one had given in this as well as his/her previous life. Relationship Improvement Meditation offered by Institute of Spiritual Sciences helps to improve all relationships a person has in his life. 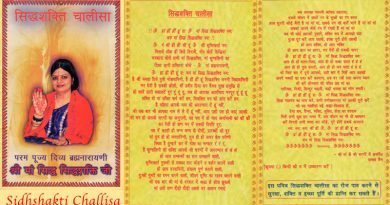 Whether these relationships are between husband and wife, parents and kids, siblings, friends, in-laws, other relatives, corporate relations, professional relations etc., this meditation works on the root cause and improves relationships. It may be surprising for any person to know that a meditation can improve relationships. How can relationship with someone else improve, when it is you who is doing the meditation not the other one? This is simply possible because problems are within a person and solutions too are within a person. 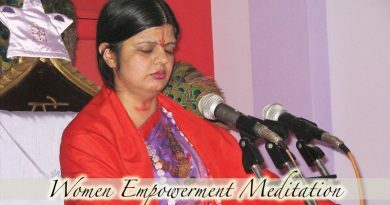 The specialty of this Relationship Improvement Meditation is that when one does this meditation, it brings positive changes in self and one vibrates lot of positive energy. The energies penetrate deep inside removing every kind of negative energy from the aura, mind and chakras and fill them with positive energy. It also fills every part of the brain with positive energy like Cortex, Amygdala, Hippocampus etc. All of this brings great amount of positivity in a person’s behavior, habits, thoughts and emotions. This brings positive vibes within and around him. He develops calm and peaceful mind and clear understanding. When a person communicates with so much positivity within and around him, then his relationships with everyone becomes positive. 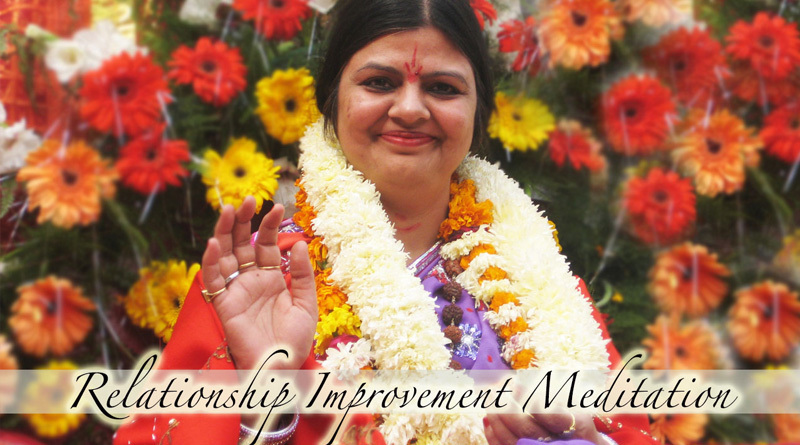 Relationship Improvement Meditation for Family Relationship. Relationship Improvement Meditation for Corporate/Professional Relationship. The main reasons for bad relationship between couples are their nature and behavior. Husband’s behavior towards wife or vice-versa is very different than husband or wife behaving with someone else. Have you ever thought why it is so? Why the same person is good with one person and bad with the other? Why your loved ones become your enemies suddenly? Why suddenly one even hates to see the face of someone whom one loved more than oneself? Why one goes through the painful stage of break-ups and divorce in his/her life? Why near ones with whom one shared the most special relationship goes far away? It all happens because of our good/bad past life Karmas. The energies within and around you. Male and female energy within and around you. Trust on each other builds and consolidates. Elements align in correct and balanced way. Thinking and understanding power enhances. Nature and behavior becomes better. Develop broader mind and thoughts. By using the divine articles of Hreeng Store from Institute of Spiritual Sciences at home or workplace, the male and female energy of that place balances and the positive energy also increases. Thus this also adds in improving the relationships. 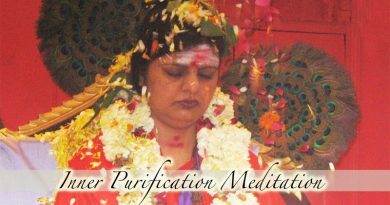 If your problem is very intense, then you can also do Past life Regression Meditation and Sidhshakti Healing along with this Relationship Improvement Meditation. Who want to live in a joint family and enjoy harmonious, peaceful and good relationships with all the family members. Wants all the members to support each other in difficult times. Help each other in their sickness. Help each other emotionally and financially. Speak to each other with love and politeness. In short, if you want to make your home a heaven to be, then you should do this meditation along with as many members of your house as possible. Bonding within the family members become strong. Members take good and genuine decisions during critical situations. Brings about upbringing of children in a positive family environment, which is very positive for children on all fronts. Respect for elders and care towards younger ones develops automatically. Treat others lovingly and with kindness, compassion, understanding, and acceptance. The reasons which cause relationship problems in corporate sector are jealousy, fear, anger, low confidence, over expectations, low body energy, lack of knowledge to do work wisely, negative thoughts, shy nature, ego, unable to flatter boss and colleagues, work over-load, anxiety, frustration, tension, physical stress, confusion, laziness, personal relationship problems cause hindrance, unable to work hard, health problems, introvert etc. Relationship with boss and colleagues improve. Learns to cope with extra load. Positive energy brings about positive changes. Negative emotions like jealousy, fear, anger, ego, low confidence, confusion are wiped out. Anyone can do this meditation at anytime, at any comfortable place without any restriction of any kind in your day to day life. 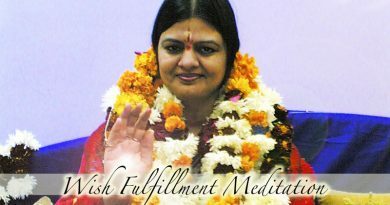 The duration of this meditation is only 20-25 minutes. It can be done anytime, anywhere – be it office, home, or while travelling in car, train, or while sitting on chair, bed etc. There is no need to concentrate or make your mind thoughtless for this meditation. 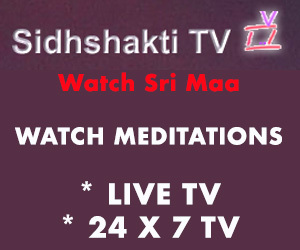 You just need to close your eyes, sit and listen to Sri Maa’s voice in this meditation.